Are you running out of gold? I've been running out of gold for years at this point. The cost for rank ups are insane nowadays. So, if they increase the gold rewards from things other than arena, what do people with millions of gold lose? Nothing! If you are a casual player you cant expect to rank all your champs and rise to the top. Thats for the grinders. If your casual chose a few champs and just rank those. But the fact is gold is there for people to get. As i showed a few hours can give a lot. If people put in effort they get it. If they dont they dont. If kabam make gold easier to get. I dont care. I am not saying dont do it. I am just saying i dont think it should be done or needs to be done as there is gold on offer. And if you dont play arena you just cant level everyone up. Arena allows you that benifit. As I stated earlier in this thread. I grind arenas. Most milestones across the different arenas every 3 days. I do all difficulties in the monthly eq. I’m almost done with variant. Then I’ll have to finish exploring act 6.1. We run 6x5 for aq and tier 2-3 in war. And make deals with alliance mates to cover my gold for their battlechips. But I can’t stay above 1m gold. Gold resources need to be improved upon everywhere else in the game other than arenas. It doesn’t not change anyone’s gold stash. It doesn’t hurt anyone. And it wouldn’t unbalance the game. There is an ample amount of Gold in the game. I've said many times that it's simple Economics. It's about Inflow and Outflow. If you're spending faster than you're making it, you're going to run out. It takes work to build it, and it takes effort to keep a minimum balance. I haven't dipped below 5 Mil in a long time. Simply because I'm always working on some way to make it, and I don't go for broke when it comes to spending it. If we're trying to go from R1 to R4 with a 5* in one sitting, that will get expensive fast. If we spread out Ranking over time and do it at a steady and constant pace, there's still room for Donations and keeping an Inflow. If you're not willing to touch the Arena, there's not much that can be said for that because it's the main source. You'll have to live within the means of the other sources. On that subject, it doesn't take a Clockwork Orange effort to do the Arena. Hitting a few Milestones in each Arena every 3 days will give Gold, and BCs that yield more Gold. It takes effort, both to make it and to spend it. It doesn't come organically. Sry no offense dude, but I noticed that you always shut down other people who mention a big issue in the game that the majority of the community has, except the whales. I personally don't always understand why people are angry at Kabam for the strangest things... 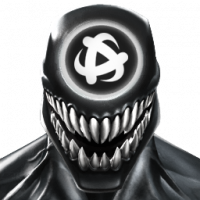 But the gold problem and some other problems (*cough* Act 6 4* ban *cough*) are big issues that Kabam need to fix. Who is the troll flagging everything they dont agree with??? I also said i dont care if they do or not. I am just saying i dont think it needs to be done. From my experience those who arena have gold and those who dont arena have no gold. It seems like a perfectly balanced tradeoff from where i stand. If everyone could just get enough to rank anyone whenever then where is the benifit to those who put in the hard work? There needs to be an advantage to grinding. I see time as the fair trade off. Running top level aq is an expense i get that. But i think maybe that is the problem. Aq is too expensive. I do map 5 and now it costs almost nothing. My point is that I do grind arenas. I do not use unit refreshes on them but typically all my 4* and 5* are on cooldown from Monday to Saturday. I also don’t just rank up every joe blow I pull. Half my 5* roster is rank 1-2. It’s about 33 champs above r3 and 33 below give or take. Getting 200-500 gold for a fight/win in uncollected eq is just annoying. Kabam could easily increase this amount of gold just from uncollected eq and I won’t complain. Every where else seems to be okay for gold. Except in monthly event quests. Edit: sorry not trying to direct that all at you because you already said you don’t care if they increase it. You’re more understanding of the situation then others on the thread. here is a spreadsheet I created before. detailing how to best spend minimal time in arenas to maximise rewards by focussing on the first three milestones in each arena. +122 units which if you wanted could buy 6 gold crystals. "3 hour of a chore for only 130k! Nobody in my roster is worth that. I'd rather do the dishes and take a nap, then maybe my wife will leave me alone long enough to stay up and play an extra 20 minutes later tonight. With 20 min of uninterrupted game play, I could start working on act 6!" Any content that requires more than 10 min or so at time has to be scheduled for a later time. There is no gold issue. It doesn't exist. Grind the areas. Grind, grind, grind. I have over 2 million gold at the moment and all my champions are as ranked up as my catalyst resources will allow. Iso is more of an issue than gold. If you get the first three milestones in some arenas, that'll give you all the gold you need. This is fairly straightforward even for less developed rosters. Try to limit your ranking to when a "level up" solo event is going on. You'll get more resources for your rank ups, and it'll help you pace yourself. Also, ONLY use the appropriate class iso. Grey iso is for selling only. As stated above, gold issues can be remedied with arena participation or purchasing gold-included offers, whichever is more convienent. As I stated, I do that and still low on gold. I’ve been grinding these arenas for over 3 years. Also only rank up during level up goals. But I also only hit the minimum required points for the entire goal and wait till the next. Or I may pass one completely because I’m low on gold. That’s not true at all. There are plenty of people that grind arenas and are still low on gold. Maybe not many but I’m definitely one of them. And I control my rank ups to be very limited. That makes no sense. If the source of Gold is the Arena, why would you have one? Even if you do, that won't be enough, and we'll be back to people saying there's a Gold problem. People are trying to spend it faster than the game is designed to allow. You have to save it now and then, instead of spending it all. If that were the case, we wouldn't have other ranking resources expiring in overflow while we struggle to acquire gold. 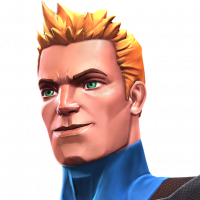 More gold is required to rank up champions than any other resource by a ridiculous margin, and there is really only one way to acquire any worthwhile sum of it. It's the only rank-up resource in the game that requires a very specific, very time-consuming grind to get that just makes you hate the game doing it. I know that for some inexplicable reason you are compelled to defend Kabam at every turn, but even you have to see that this is a problem for anyone who doesn't have more money than sense or more free time than they know what to do with. 15 matches in arena over 3 days for the first 3 milestones is time consuming? It's not a big issue. If it was, there would be many, many more people here. All knocking on the door for Gold. Who is voicing something is irrelevant to me. I don't care if they spend or don't spend. I look at what is brought up objectively. Act 4 is not a problem. That's exactly how they set out to make it. Gold is available, and there are many of us that have Gold. The misconception is that we tape our phones to our hands and Grind on a loop. Not at all the case. That's what I was speaking on. The fact that there is ample amount of Gold in the game, evident by the fact that many people have it and manage it. I even gave a method I use for farming it. However, I also said that part of that is spending habits. That's a reasonable assessment. They have increased ways to acquire Gold in the game in the last year, and people still run out. They could add a Gold Arena or Halls of Fortune daily, and some people would still run out. Reason being, they spend it all. That's not contradictory or spiteful. That's logical. If you want to have Gold you have to manage it properly. No. Because I have no 5* currently worthy of ranking up. The argument that more people would be complaining if there really is an issue, is a farce argument. A lot of people don’t say anything because they don’t want conflict with other people. It’s human nature to just accept and move on. 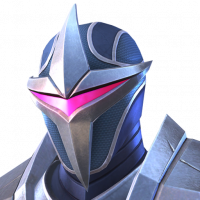 I personally wouldn’t start a thread but if it’s brought up I’ll voice my opinion that gold needs to be reworked in other aspects of the game outside of arenas. What some people need to try to do, is not give everyone a hard time if they find themselves short of a resource even after doing everything everyone says to do. All my catalysts are full except for t5bc, t2a and science t4cc. My last two rank ups were 5* spidergwen and 5* she hulk to rank 3 from rank 1. So please tell me where else can I make more gold? How do yall have time to write these long paragraphs. I can't analyze your spending, not without knowing what you pay out. What are you donating for Maps? Also, if you're hitting Level-Up every week, that can get costly. If you're doing all that and still running out of Gold, it has to be going somewhere. What you can do is, make a Prudent Reserve. A bare minimum amount that you will keep for emergencies or to stay afloat. You then hold off on spending unless it's absolutely essential, AQ for example. Save the Prudent Reserve, and don't spend anything unless you go above that. It's just basic Financial Planning applied to the game. You have to take stock of what is coming in compared to what is going out. The argument that people will still complain is to illustrate the point that spending habits account for some of the problem. If some have Gold and some don't, it stands to reason. For those saying to do arenas, I have limited time. You say just do the first few milestones. 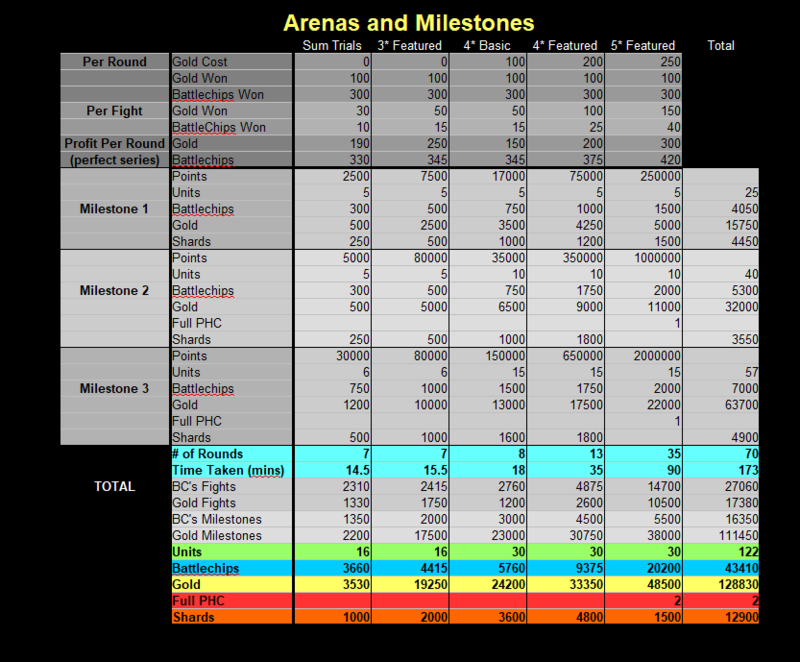 How many milestones in each arena should be done and roughly how much gold does it net? I haven't averaged it, but I run 3 Arenas or more, especially the first couple Milestones. They're easiest. Doesn't take more than an hour or two. That's one day. You can do more if you have more time, but that all depends on you. I probably net 3-500k a week, when I add that to the other things I do that yield Gold. I Rank at a steady pace, and never really go below my 5 Mil Prudent Reserve. I usually do a couple Milestones in each Arena each day, minimum. Unless I'm Grinding for something, in which case I go full-tilt. Even then I'll do the first few in a number of others. Doesn't take long, and you get Gold and BCs. Lol this thread just turned into an absolute mess. Now personally, I’d never say no to an increase in gold payouts via arena, quests etc. Preferably quests as I enjoy running them than doing arena and imo there’d be no harm in just increasing gold pay outs from arena and questing by 25-50%. But, at the same time, you’re right, grinders should get the benefit of being able to rank who they like, but whatever, all anyone (grinder or not) needs to save gold is a nice patch of unbelievably bad rng, and vice versa. Now if we could all just be nice and remember, different people have different responsibilities, some have little free time for arena (or prefer watching paint dry with their free time), others do grind arena but have such good rng the gold can’t keep up, and others have the benefit of not having to pay donations for their AQ so they’ll be picking up an extra chunk each week there over those that do Map 5-7. I find this odd. Most of these responders ALSO attempted to draw real-world economic comparisons. Most went so far as to all but intimate the classically austere mindset of, pull yourself up by your boot straps. A problematic mentality for even just the Real World. This game is not really the real world, though. Stay with me for a minute as I extend this metaphor. If it was analogous to the real world, free to play players are the Homeless Population. Everyone else, and keep in mind this is a fallacy, because the real world is not black and white, adopts a venture capitalist / stockbroker / investor / 1% p.o.v. This type of thinking is quite imaginative, though, is it not? In the “real world,” there are things like welfare, unemployment, bank loans. There are not really any analogous elements in game. The closest thing I can think of holds a tenuous connection at best, and it’s pretty abstract in its lateral-ness, and that’s the ability to sell champs/resources. But this is kind of like a garage sale, at best. Certainly not like a pawn shop, or any number of potential real world comparisons. It is for this reason that I do not agree with most who say “no.” I think the logic behind most of their defenses is not sound. Just my 2 cents, no pun intended. One thing about this game and community that definitely IS just like the real world, is that there’s rampant name calling, self righteousness, arrogance, and “I only care about my own lives experience with the game” these kinds of attitudes get nobody anywhere, in real life or the game. We need to work on mature dialogue, all this derisiveness is too exhausting.